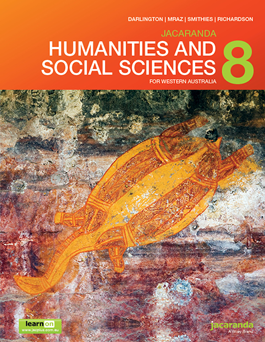 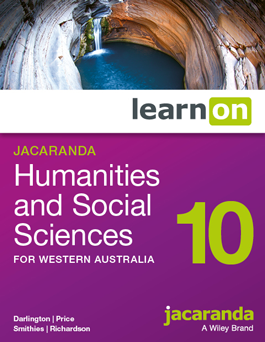 The Jacaranda Humanities and Social Sciences for Western Australia series comprehensively covers the Western Australian curriculum: Humanities and Social Sciences for Years 7-10. 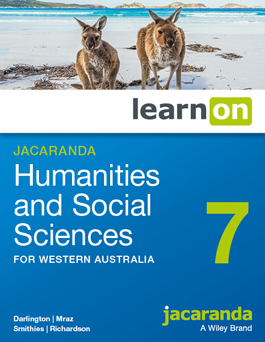 Combining Jacaranda’s Geography, History, Economics and Business, and Civics and Citizenship in one title for unbeatable value for money. 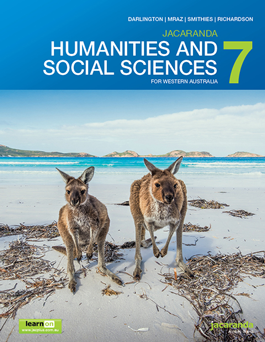 A stunning range of images, videos and interactivities to help engage students and bring Humanities and Social Sciences to life. 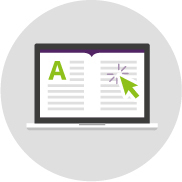 Activities organised from lower to higher levels of complexity plus challenge opportunities for those thirsting for more. 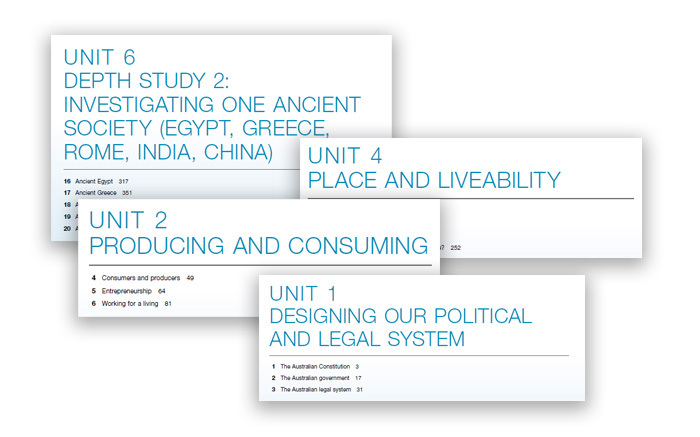 Four subjects and optional content to extend students provide flexibility to meet the unique needs of individual classes. 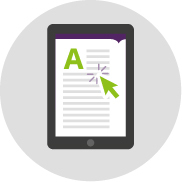 With learnON, Jacaranda’s immersive eBook, teachers can unlock deep insights into student and cohort performance. 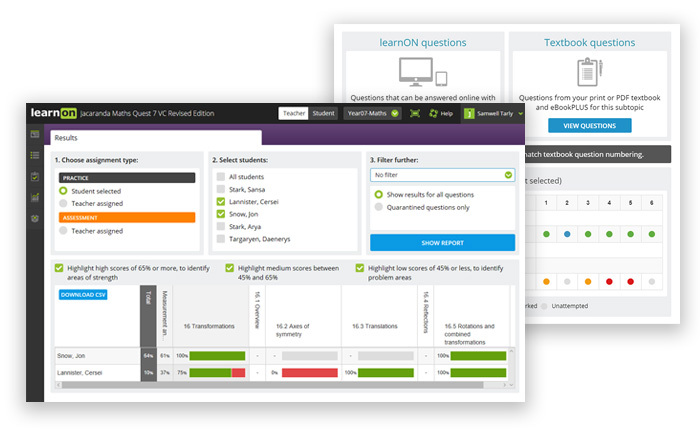 learnON is our immersive and flexible digital learning platform. 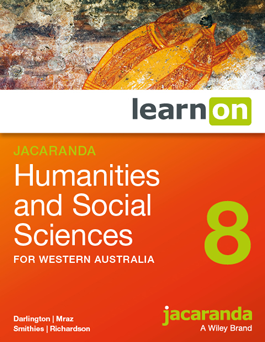 Get Jacaranda Humanities and Social Sciences for WA as part of the Jacaranda Digital Bundle (digital-only) or the Jacaranda Value Bundle (print with digital). 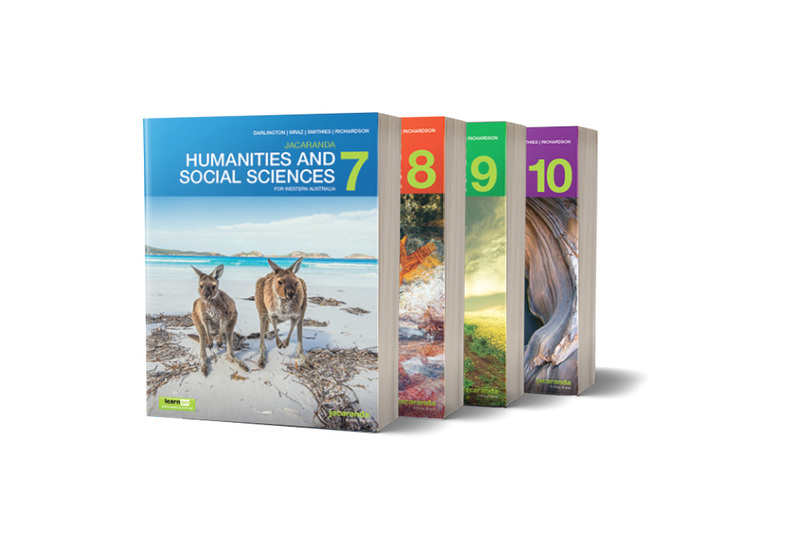 These bundles provide trusted, high quality resources, at one low price to meet the unique needs of every Australian school. 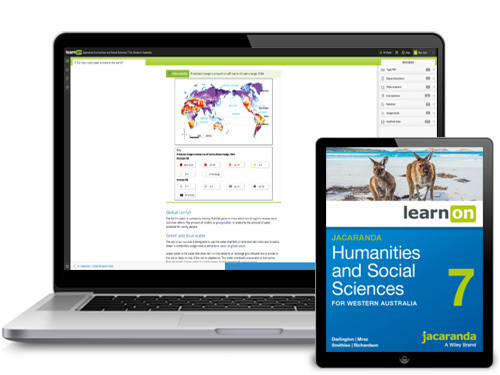 The iconic Jacaranda Atlas is available for the first time, as a hardcover atlas with a complimentary eBookPLUS so students and teachers get the best of both formats. 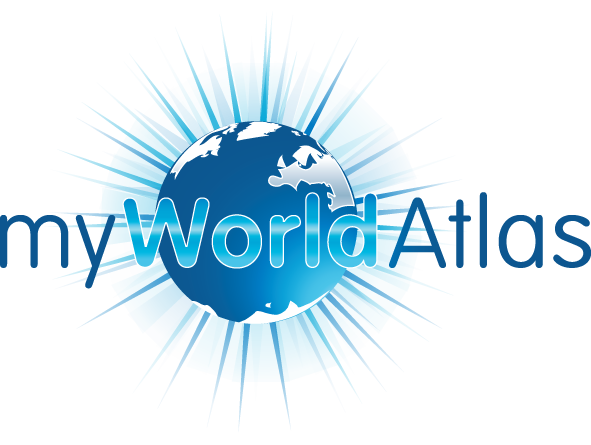 myWorld Atlas is Jacaranda’s unique digital atlas that enables students to explore the world and test their geographical skills. 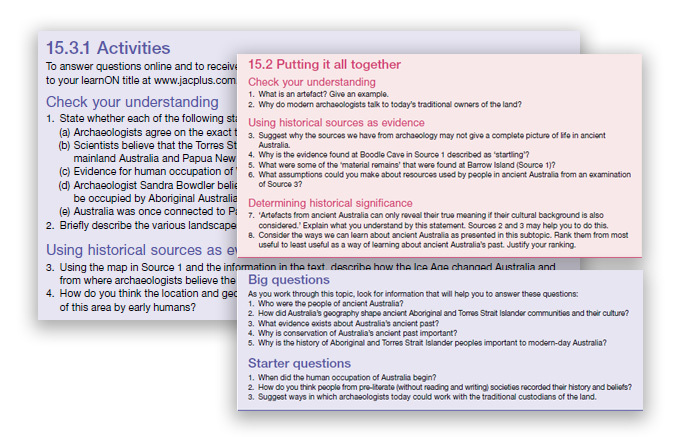 myWorld History Atlas is a unique digital atlas that brings to life the content of the printed Jacaranda World History Atlas. 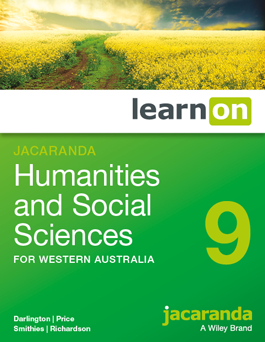 The Jacaranda Humanities and Social Sciences for Western Australia series is available in a print with digital (learnON) or digital-only format to allow teachers to teach their class, their way. 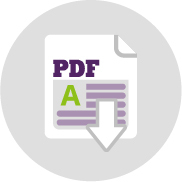 For digital customers, use your resource both online and offline with downloadable PDFs and the iPad app. 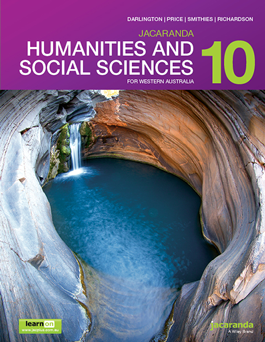 Topic 5: The market system and government Topic 14: Fieldwork inquiry: How does a waterway change from source to sea? 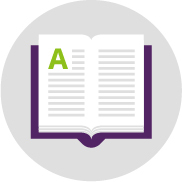 Topic 11: How can we feed the world? 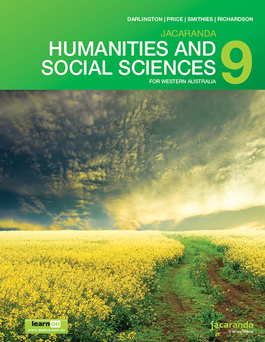 Topic 8: Government management of the economy Topic 19: What makes a life good? 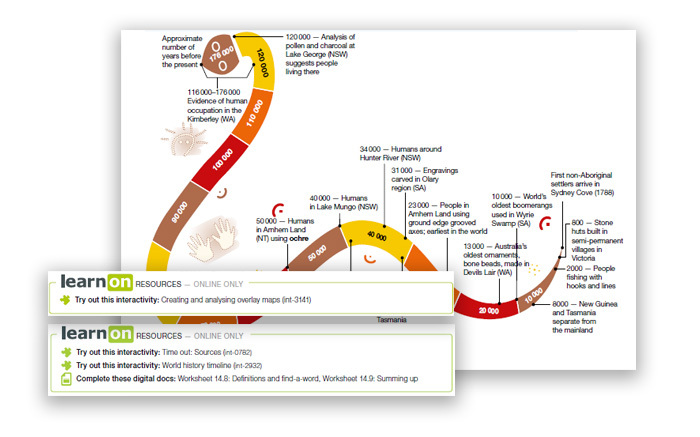 Topic 10: Improving business productivity Topic 21: Is life the same everywhere?